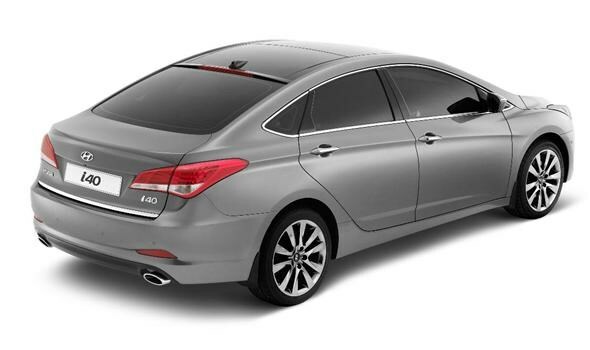 Having showed off the estate model, Hyundai has finally unveiled the saloon version of its new i40 model. Set to take on the likes of the Ford Mondeo, Honda Accord and Mazda6, the i40 could be a major car for the company over the next couple of years as they attempt to break in to this lucrative part of the market. This new model comes with the best in-class dimensions for head- and legroom, according to the manufacturer, making for a comfortable place to be for passengers and driver. There will be a choice of four engines on offer, with two petrol and two diesels to choose from. The petrol range starts with a 1.6-litre engine with 133bhp. There's a more powerful 2.0-litre petrol that produces 175bhp and it will complete the benchmark sprint to 62mph in 9.7s. Both come with a six-speed manual gearbox. Two diesel variants are available, a 1.7-litre unit with the choice of 113bhp - fitted with a six-speed manual gearbox - or a 1.7-litre with a power output of 134bhp, this is the only engine with a choice of six-speed manual or automatic 'box. Hyundai expects the diesels to be the most popular choices with both private and company car drivers. Paired with the company's Blue Drive technology - including stop/start and low-rolling resistance tyres - the 113bhp version will be the greenest choice available. With emissions of 113g/km you'll pay just £30 in annual tax, while the manufacturer claims it will be able to achieve 65.7mpg on an average cycle. Hyundai also claims to have drastically reduced engine noise from the diesel offerings, both in the cabin and the exterior engine noise. As we've come to expect from the South Korean car maker, the i40 will get plenty of standard kit. On top of this will be options such as sat nav with reversing camera and lane departure warning system. It will also be available with heating and reclining rear seats as well as a heated steering wheel. There's an abundance of safety kit too, seven airbags are fitted as standard, including front, side and curtain and driver knee airbag. Then there's the usual stability control, ABS and hill-start assist. 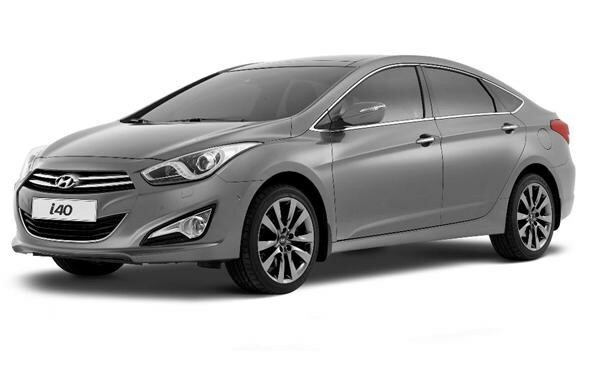 The i40 saloon is set to go on sale in the UK towards the end of the years and is expected to start at around £18,000.